Vomiting is an unpleasant experience for everyone. The truth is, though, that it serves a purpose for your health and well-being. Vomiting is our body’s way of getting rid of anything toxic we may ingest. Vomiting can be caused by many things, from the stomach flu to pregnancy. It is important to recognize when throwing up requires immediate medical attention (e.g. throwing up blood) or when you can simply wait it out at home (e.g. the stomach flu). 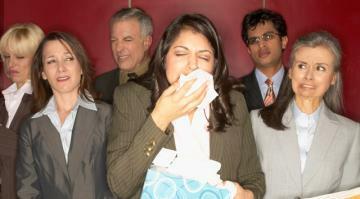 FastMed Urgent Care provides medical treatment when you have symptoms such as vomiting. Vomiting: Should You Visit FastMed or the Emergency Room? If you’re throwing up, deciding whether or not to go to the doctor can be difficult. It isn’t always easy to tell what is causing you to vomit. There are different conditions that can cause vomiting, and they range from minor to very severe. Vomiting can be a symptom of illnesses like food poisoning, motion sickness, gallbladder disease, or even cancer. Since it can be quite alarming, we should address one issue. Don’t initially panic should you find yourself throwing up blood. Small traces of blood in your vomit can be caused by something as simple as bleeding gums. You will still want to visit the emergency room, but it is important, as well as in any of these cases, to remain calm. FastMed offers an affordable alternative to the emergency room for non-life-threatening conditions. We are open extended hours during the week, and have hours on weekends and holidays. Visit a FastMed clinic near you to be seen for your symptoms today.